As most of my readers will know, I am a huge fan of leather. Be it a leather jacket, leather trousers, or in this case a leather dress. I just cannot get enough of it, no matter if it is in fashion or totally out, my love for it remains. 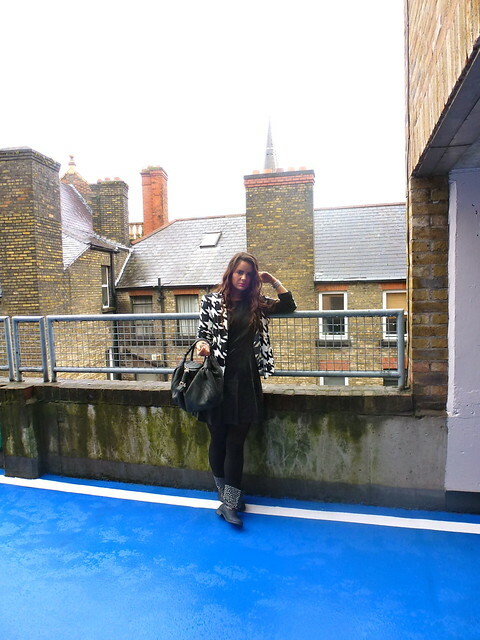 For this outfit I brightened up the black leather with a houndstooth check blazer from River Island. This was another trend that I was delighted to see returning to the shelves. 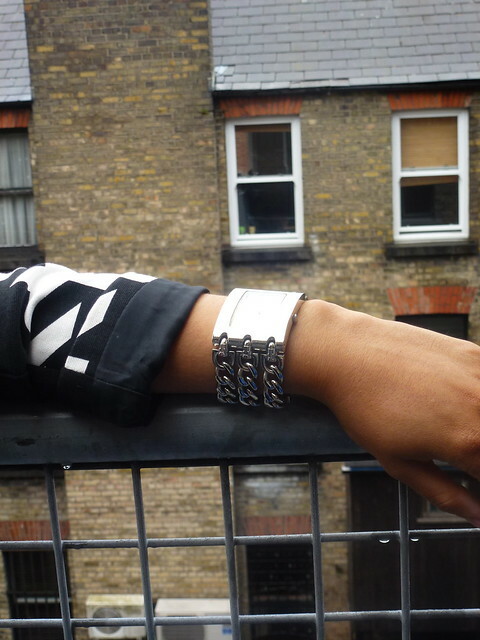 It is such a classic print yet River Island have given it a modern edge. I also bought the dress to match this jacket which I will show you in another post… I may love the print but wearing two items together would be total overkill! 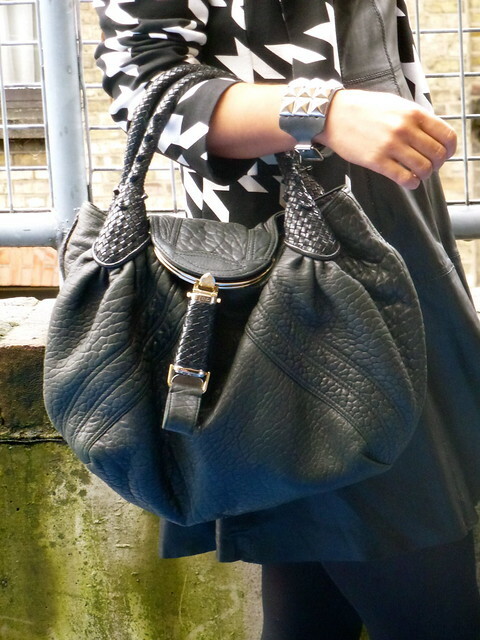 I completed the look with one of my favourite handbags of all time, the Fendi Spy Bag. I just love the shape of it and the hidden pouch for your lipstick is such a cute little extra! Lindo esse casaco Preto&Branco, e essas botas são perfeitas! Amei o look! Tem postagem nova, dá uma olhada. Me encanta!! !Adoro los vestidos de cuero, y con esa americana que alegria le das!!! Your jacket is really awesome! Love this look, and your lipstick really makes the whole outfit! Thanks for commenting on my blog, of course I'd like to follow each other! Lovely outfit and the lipstick is great! Yes I'd love to follow each other, I follow you now! I love the houndstooth blazer, it goes really well with this outfit!! Very nice outfit. I like your bag and shoes. Great day. I adore that dogtooth blazer 🙂 The pattern workS so well with the black of the rest of the outfit!! Hello dear! Such a great blog you have! Great post! Have a nice day & kisses! I'm in love with the houndstooth jacket! nice outfit post :))))…are those your leather boots??? ?how do you protect or take care of them in rains???? Love the entire outfit! you're gorgeous! I love it all but I wanna steal your jacket away! Loveeeeeeeeeeeeeee this outfit. The jacket is chic and leather has been one of my faves lately too. Nice boots! Very chic i must say. wow wonderful photos, you look stunning! i absolutely love the blazer!